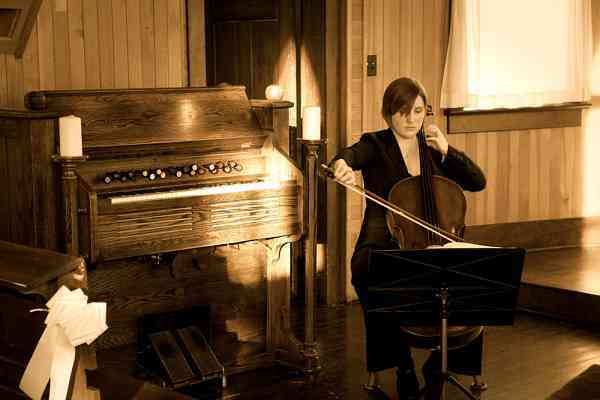 Caitlin Laslop (Smith) is an Edmonton based cellist, teacher and conductor. Mrs. Laslop has taught at Grant MacEwan University, Edmonton Public School Board Music Enrichment Program and the Strathcona Conservatory of Music as well as performed and conducted in many venues including the Winspear Centre for Music and the Northern Alberta Jubilee Auditorium. Caitlin currently has a studio of 30+ students, teaches from home, with the Edmonton Society for Talent Education and at the Suzuki Charter School. She also enjoys playing in the Vif String Quartet. Mrs. Laslop graduated from the University of Alberta in 2007 with a Bachelor of Music in Cello Performance where she studied under the guidance of Tanya Prochazka.